Every year you read about some tourist that didn’t think about if trying to ride a bison or something was smart. You hear about people not paying attention or following rules and then the wildlife having to be caught and put down. Don’t be one of those people. We want you to have an unforgettable time viewing wildlife in America’s National Parks, but that doesn’t mean interaction. Just be smart about it all and pay attention to our tips to have an unforgettable time. Consider wildlife safety a part of camping safety. 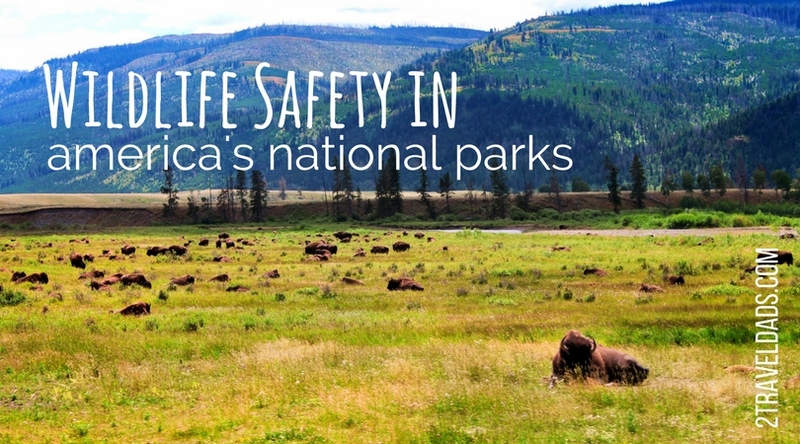 Following the safety chat (remember “safety first”) go check out the spots we’ve highlighted as our favorite places for the best Yellowstone National Park wildlife experiences, or ideas in Glacier and Yosemite. Before that though, listen up: having plenty of adventures in the National Parks beyond Yellowstone, these are our top three things to keep you and the wildlife safe. 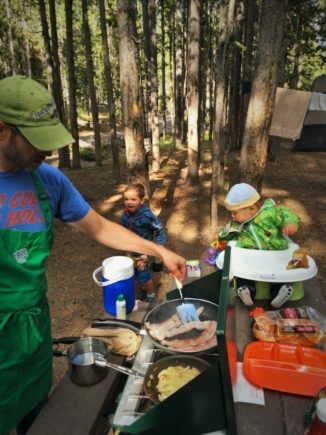 Whether you’re all about camping or you totally dig staying in National Park lodges, you’ll no doubt have an experience eating or preparing a meal in the open air. And when you travel through certain National Parks there will actually be opportunities to be very close to wildlife while still in your vehicle. 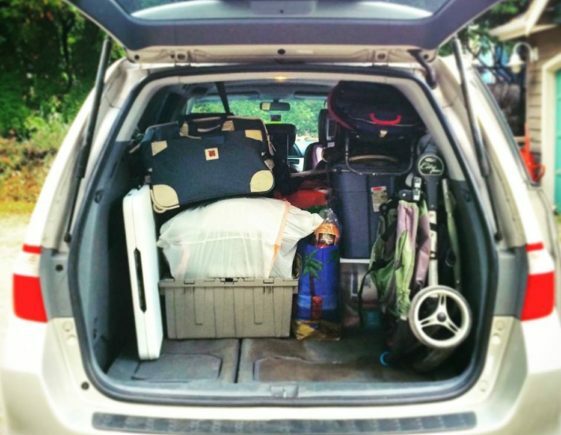 Everything we’re sharing any Park Ranger will totally corroborate and strictly enforce. Really. 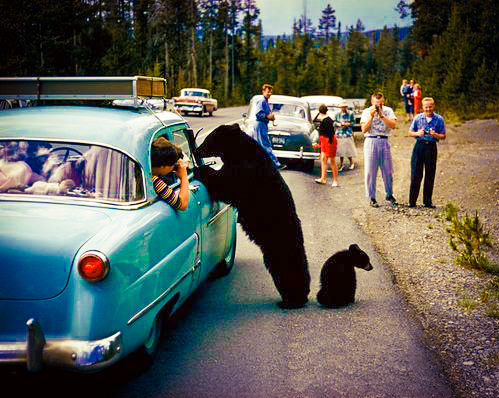 If you research, you’ll find funny pictures from the 50’s of tourists feeding bears by hand out of their car window. It’s ridiculous. This practice eventually led to the relocation and termination of many black bears from Yosemite and Yellowstone National Park, as their behaviors and health were severely impacted…and they were cranky. Today, there are very strict guidelines regarding food storage and clean up. 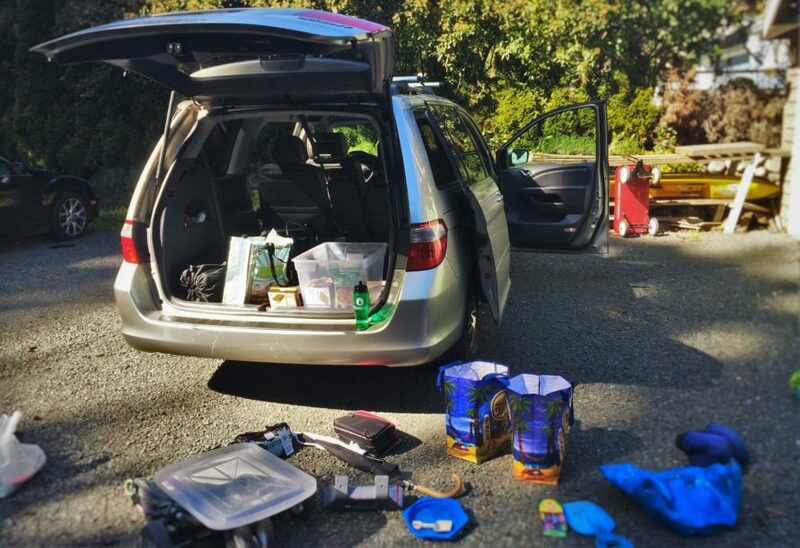 Why we have to call this out: if you’re planning on camping and picnicking in a National Park, you must unpack and repack EVERYTHING except your sleeping equipment whenever you leave. 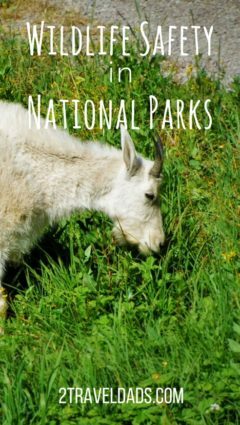 Even with an efficient group of campers, this is a frustrating hassle, and if you don’t do it right, you’ll have an unplanned experience with National Park wildlife. 7.) go about your day. REPEAT AT ALL MEALS. 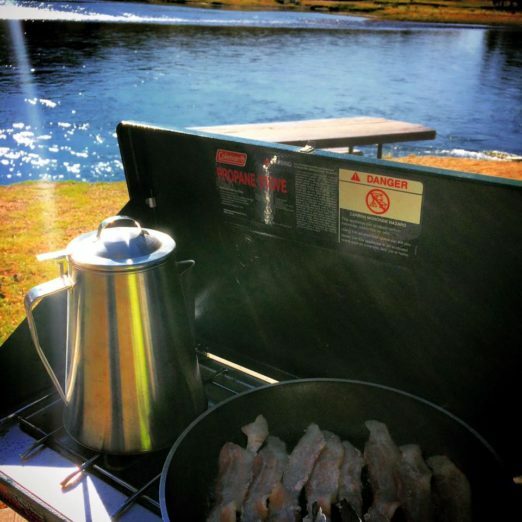 We absolutely love camping and are willing to go through this process over and over, but it really is a continual plague on the camping experience. We feel that everybody should fully understand this before committing to camping in Yellowstone (or Glacier, Yosemite, Mt Rainier… any National Park). Tip: having storage bins with lids is an efficient way to store meal prep stuff and dirty dishes (separate tubs). Doing this will make prep and clean up much faster and easier, having the last meal of the day be the one that includes the dish washing. The American bison is the most iconic animal in the USA. Today, due to mass hunting in the 1800s, they are scarce and mostly found in Yellowstone National Park, Custer State Park (SD) and on farms. 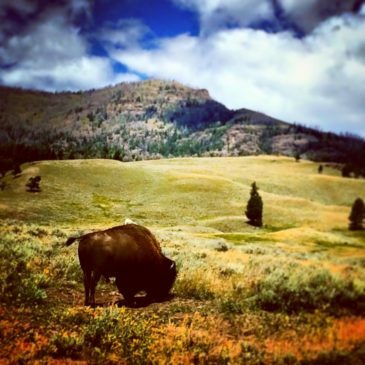 The safe haven of Yellowstone has really allowed the bison to flourish and they are everywhere. True, there are a few key areas that you’ll see them in abundance, but you have to watch wherever you stop, and that’s why we’re talking bison safety. Fun anecdote: My favorite morning on our most recent trip to Yellowstone National Park was spent with the family doing picnic breakfast on the Yellowstone River, at the Nez Perce Ford. Sitting across the shallow river from us was a bull bison, watching us, enjoying his own breakfast. Having just watched several big guys ford the river not too far from there, we kept a wary eye on him. We stayed safe, but were ready to run at a moment’s notice. Oh, and we had to keep an eye on the pelicans hanging out nearby too. 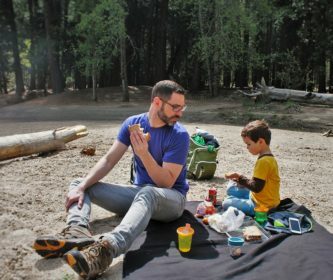 Tip: ask a ranger or use a park guide to find/select a picnic area that’s right for your family. If you don’t know where there is one, you might be driving for a long time. Oh ground squirrels. So cute and so greedy. Chipmunks too. And let’s add bold to their description. Know that if you’re sitting on a bench or by your campfire, your snacks aren’t safe. The smaller wildlife of the parks are always watching, waiting to get a free meal. Human food isn’t meant for the little guys. They need to do their job in the forest ecosystem, so feeding them or allowing them to find your scraps offsets the delicate balance that is nature. Tip: even looking away from food for too long will provide an opportunity for a ground squirrel to run up and grab your sandwich while you’re sitting right there. They are bold. 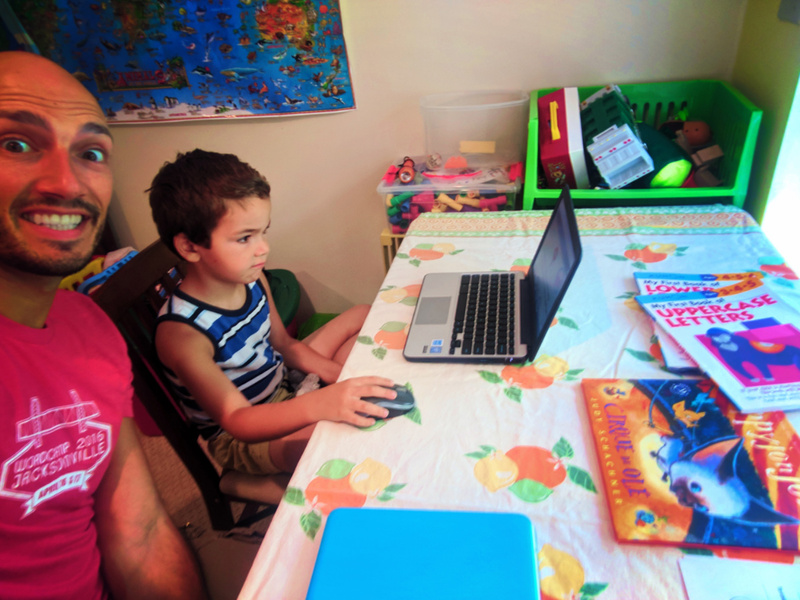 Anecdote: picture a box of graham crackers and a shifty little raccoon running up, grabbing it and running off sideways, looking at us as he ran… #TrueStory. 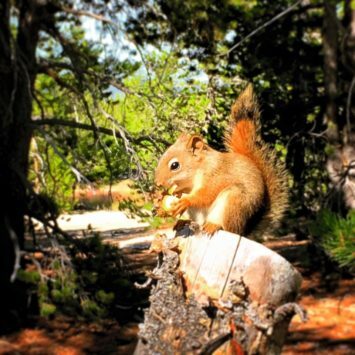 Even when you’re just sitting around the picnic area or campfire, watch out for National Park wildlife being bold. 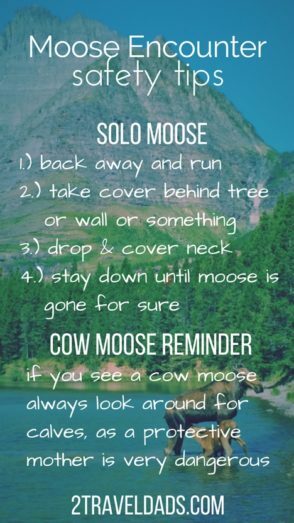 They have years of practice with campers and hikers and know how and when to act. And remember, just because you see tourists feeding wildlife that does not make it okay. Park Rangers will stop them if they see them, but in the meantime do your own part to not add to the problem. Just like meadow-stomping: follow the rules because it’s the right thing to do and is for the good of the Parks even if you don’t see the immediate impact. The Southeastern USA is a fascinating place unlike any other part of the country. When it comes to wildlife, you’ve actually got a variety of species both to be concerned about and to be respectful of. 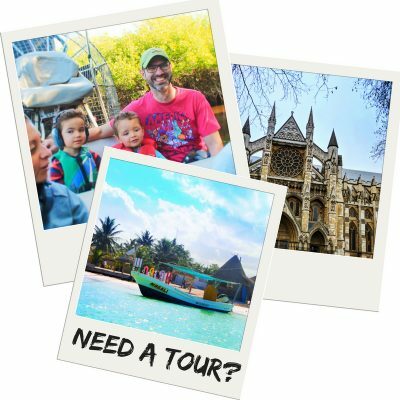 You’ll find as you tour from Louisiana to the Atlantic Coast of Florida you’re going to have a lot of coast line, subtropical forests and coast. 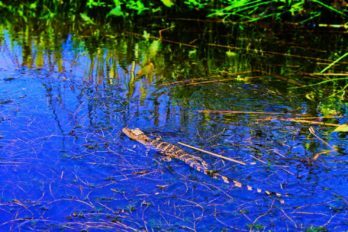 You’ll find De Soto National Monument, the Everglades, Big Cypress National Monument, Biscayne National Park and more. 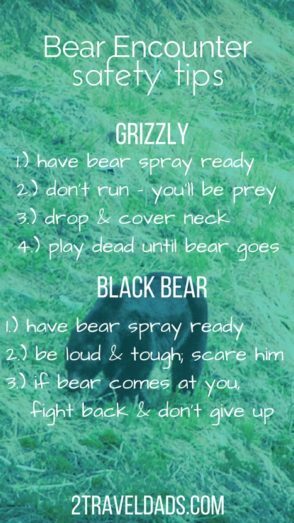 Let’s just say that there are some ground rules for wildlife safety in all of these Parks. To us this goes without saying, but if you’ve not visited Florida this might not click. 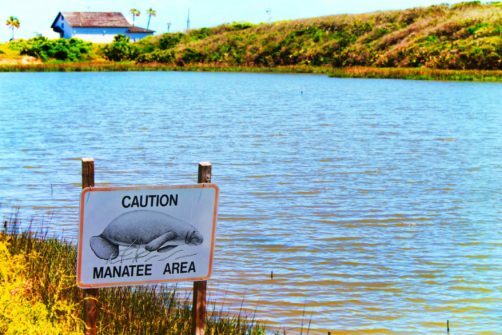 Manatees have very specific diets consisting of grasses, algae and other micro-organisms, NOT HUMAN FOOD. 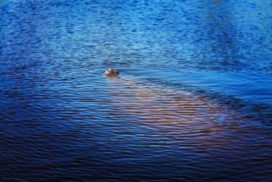 There are places in Everglades National Park or even just near public beaches and rivers or springs in Florida where manatees will congregate or travel. They don’t need any help from humans to get food and are most likely not interested in anything you have to give. Let them be. We love getting to explore National Park by boat (love boating!) but we’re rarely in the captains seat outside of the PNW. 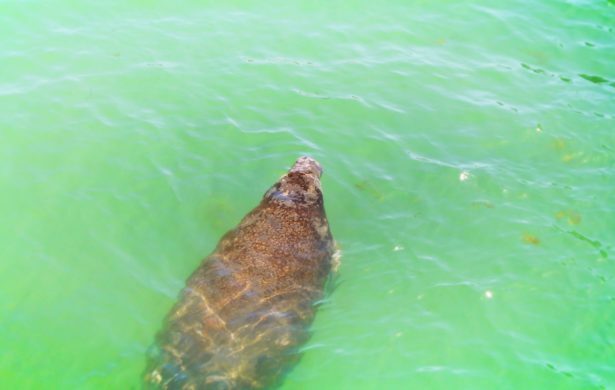 If you find yourself piloting a boat from St. Augustine’s Castillo de San Marcos or Fort Matanzas down around Florida and up into the Gulf of Mexico, you’ll be in manatee/dolphin waters that whole way. 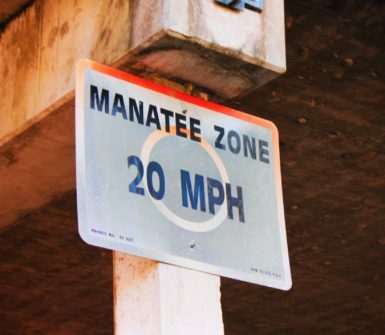 Just like you need to watch for logs and debris, you need to be wart of manatees. We’ve seen too many with scars and wounds and it’s heart breaking. 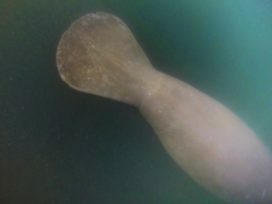 Anecdote: we were on a boat with St Augustine Ecotours heading down the Intracoastal Waterway when we came across some manatees, one of which was injured. 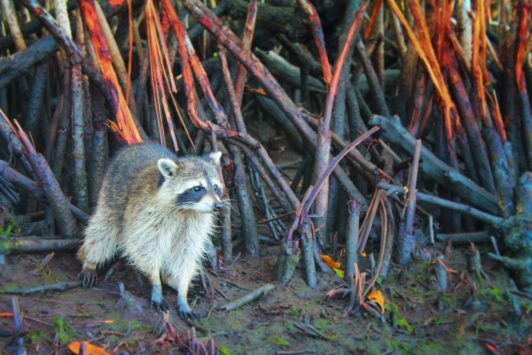 Too many boaters just cruise through the Intracoastal much faster than is safe for wildlife and it takes its toll. 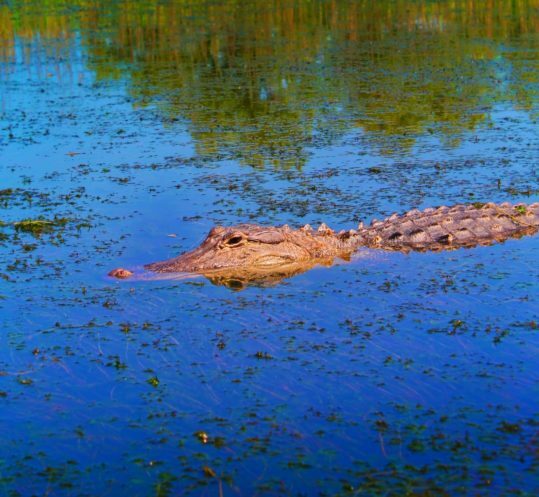 If you’re planning a visit to the Everglades or Big Cypress, you’ll FOR SURE see alligators. And they live beyond the borders of the National Parks system too, so always keep that in mind. I know, it seems so simple, but wildlife safety cannot be talked about too much. 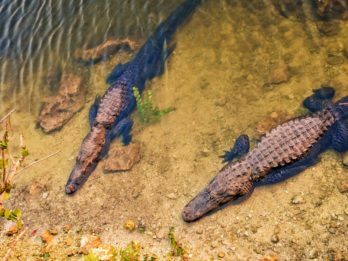 Alligators and crocodiles have such a bad rap for being aggressive and injuring or killing humans, so we should all be conscious of appropriate behavior in their environments so they can remain there and in as natural a state as possible. It’s best for everybody. 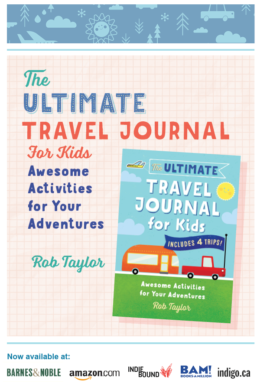 Hiking is nearly synonymous with National Parks, and hiking safety is key to enjoying a visit with kids. Hiking out of one of the popular areas within National Parks will often get you both sweeping, amazing views and opportunities to see wildlife. Leaving the crowds behind brings takes you out of the power position though and you’re fulling into nature, into the territory of the WILDlife. 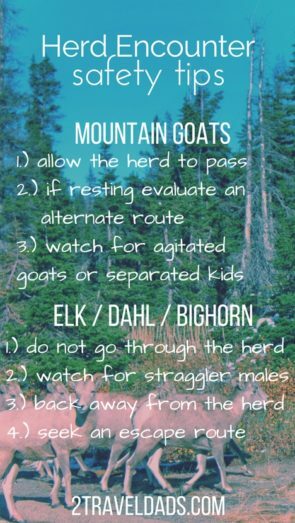 Those general guidelines should be a good framework for staying safe when you encounter wildlife while hiking. We do get questions about all kinds of specific types of wildlife safety, like what to do if you come across a bear or a cougar. Here are our best tips for the most common dangerous animal encounters you might have in a National Park. 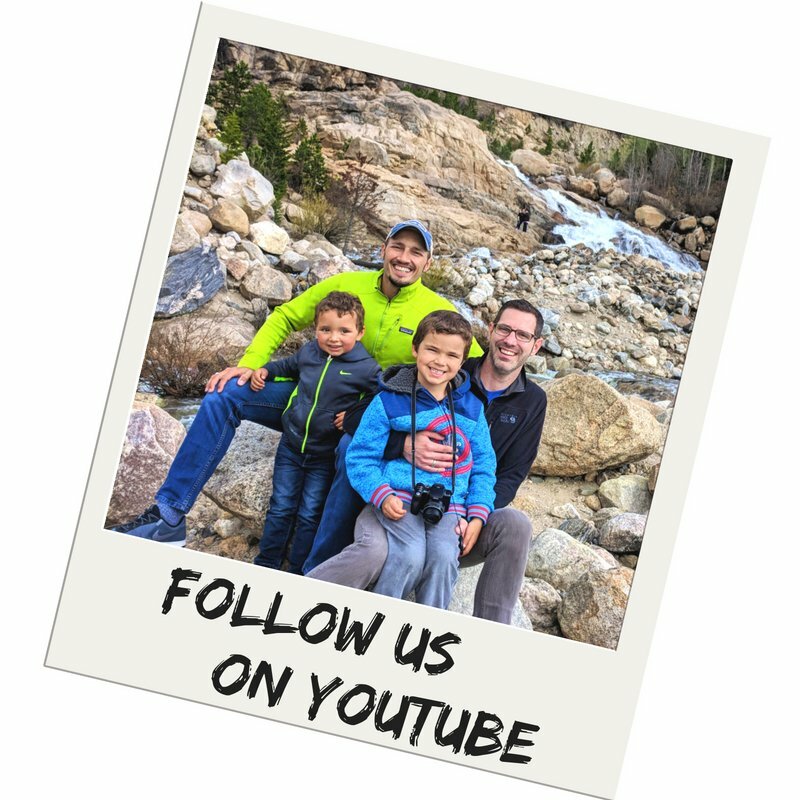 For some great safety videos from the National Park Service specific to safety in Yellowstone National Park, click here. 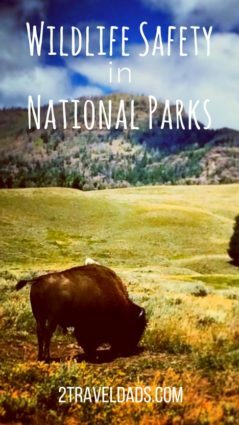 Hopefully you feel pretty darn confident about wildlife safety now and are ready to go explore our National Parks. And we want to thank our friends over at Kids Are a Trip for inspiring us to share this helpful information. Hopefully we’ll be hearing some awesome stories from them about their wilderness experiences in the coming year! Want to pin this for later when you’re plotting our you own wildlife experiences? Go for it!